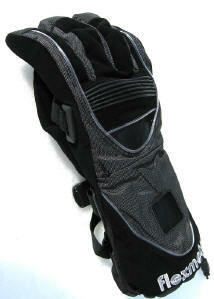 * Estimated 95,000 wrist fractures each year among snowboarders worldwide. * snowboarders wearing wrist guards are half as likely to injure their wrists as snowboarders not wearing guards. and join the discussion on Squidoo here. Flexmeter Snowboard Gloves with Wrist Guards built-in, and Flexmeter Wrist Guards to wear under your gloves, or for skateboarding are designed by renowned French Mountain Doctor Marc-Herve Binet, who runs the clinic at Avoriaz Ski Resort, France. Flexmeters are designed to FLEX at your wrist joint to absorb the shock of a fall, unlike other wrist guards. Flexmeters, by Docmeter have been tested and proven to provide wrist protection to snowboarders and reduce snowboard wrist injuries by up to 75%. Get protection for your wrists at www.Flexmeters.com. We can send them to you in the US, UK, or anywhere in the world. See our videos of Flexmeter Gloves and Wrist Guards in action here! We have Doug’s X-rays of his two broken wrists sustained in a snowboard crash while wearing another brand of wrist guard before he found Flexmeters, and unfortunately he has two titanium plates, and 26 screws to show for it.